Samsung Galaxy Y series users were disappointed, when they had no luck to try the Jelly Bean Firmware on their smartphone, due to low-end hardware. 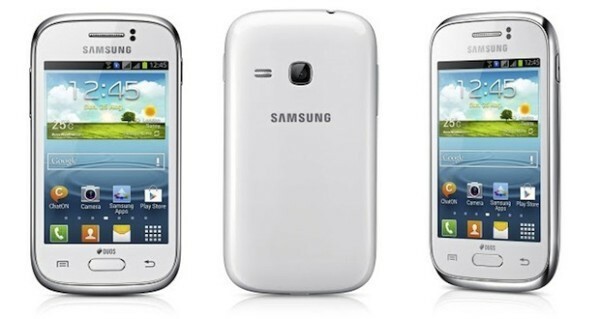 Samsung has addressed the same issue, and had launched Samsung Galaxy Young with Android 4.1 Jelly Bean Factory installed. Since the phone came into the market, it did the average business. Those Galaxy Young GT-S6310 owners, who was looking forward to root their devices, can now rejoice with this tutorial. The rooting of your Samsung Galaxy Young GT-S6310 will give you a lot of benefits. You will be able to install any Custom ROM package on your smartphone. As well as you can then install some apps which need root access. Since there is no custom method exists for rooting this device, but we’ll be using Framaroot for rooting of this device. If you wish to root your Galaxy Young, then just follow our tutorial below, which comes with detailed instructions to root your device. Disclaimer: The rooting is a risky process, and it voids the warranty. Hence, you will need to unroot the device, if there will need to claim the warranty in the future. Neither AndroidWeblog.com nor Developer should be held responsible. If, your device will be end up as damaged or bricked by performing the steps mentioned in this tutorial. Download the Latest Samsung Drivers. After downloading the drivers, also make sure that you have available Samsung Phones compatible data cable. Before you go ahead with the process, the data cable should be kept along since it is necessary between the process. If it the first time when you have connected your Samsung Phone to computer. Then, it should install the drivers automatically. You need to allow windows to Automatically Install the Drivers for your smartphone. Make sure to check that the battery should be left least about 70% before starting the process. Since device should not get sudden shut down/ turn off, due to power failure between the process, since it can damage your device. Disable all the Antivirus and Firewall in your Computer. Because they can create some unwanted conflict, while process is running. So it is always a good idea to disable them until the process gets finished smoothly. Navigate to the Settings>Developers and then check the option USB Debugging to turn at the same. Now, go ahead with the steps to root the device. Step 1: First of all, Download Framaroot APK to your computer. Download Link. Step 2: After downloading the application on your computer, just connect the phone to the computer (make sure that you’ve installed Drivers. Step 3: Now, browse the SD card of the phone, and then copy and paste the file downloaded in Step 1. Step 4: Then, you must enable the permission to install the apps from the sources other than Google Play. Go to Menu>Settings>Unknown Sources (ON). Step 5: Browse the file through File Manager, and then run apk to install the same. Step 6: After running the APK Framaroot APK, follow all of the on-screen instructions. Step 7: As soon as the installation gets finished, just launch GingerBreak app. Once the app interface opens on the screen, then just click ‘Root’ button. Step 8: After clicking the button, wait for a few minutes, and, the process is getting finished in the meantime. After the installation, just reboot the device. We recommend you should Unroot the device, before applying any OTA updates. Since, many users have reported problems, while updating official firmware through OTA on rooted devices. So we hope you’ve successfully rooted your Samsung Galaxy Young S6310 device using our tutorial. If you’ve faced any problem while performing the steps, then do, let’s know in the comments section below.